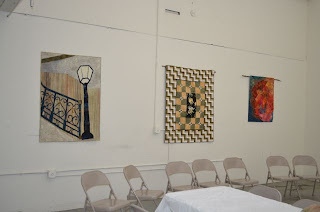 Explorations in Quilting and Life: A Surprise Show! Last weekend my aikido dojo hosted our Sensei from Japan for a workshop. 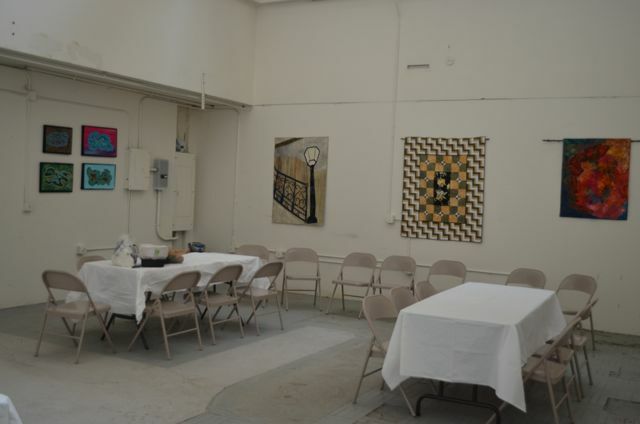 On Saturday, we planned a catered lunch in another part of the building where we rent. 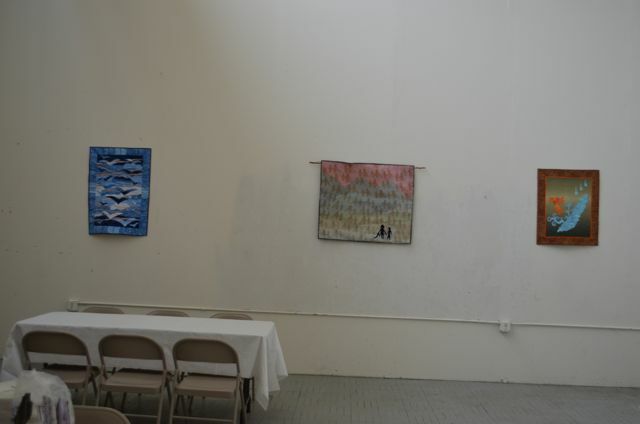 We didn't get to see the room until Friday morning when a few of us went to fix it up. After washing the floor and walls, it looked pretty dull. So, since I still had a few hours till our Sensei would arrive in town, I drove back home and gathered up some of my quilts. 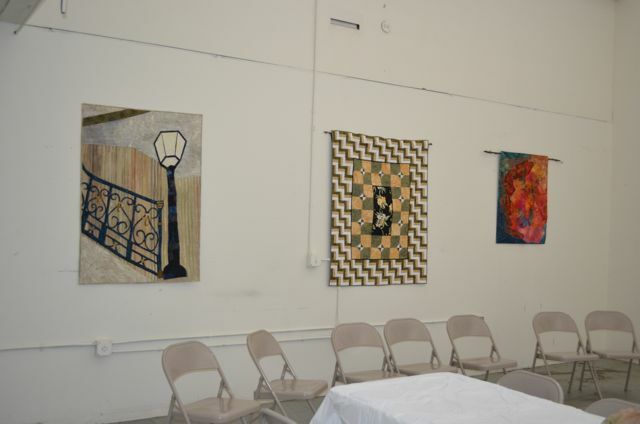 I probably set a record for hanging a room of quilts. It was just the touch that was needed to perk up the room. Once we added some flowers, the food, and had some music playing, it really turned into a nice relaxing spot for lunch in the midst of our seminar. 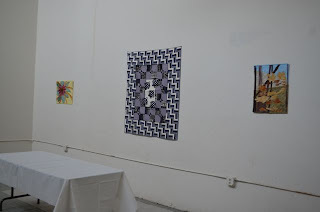 So, I guess you could say that I had my first solo show. Everyone enjoyed seeing another aspect of my life. 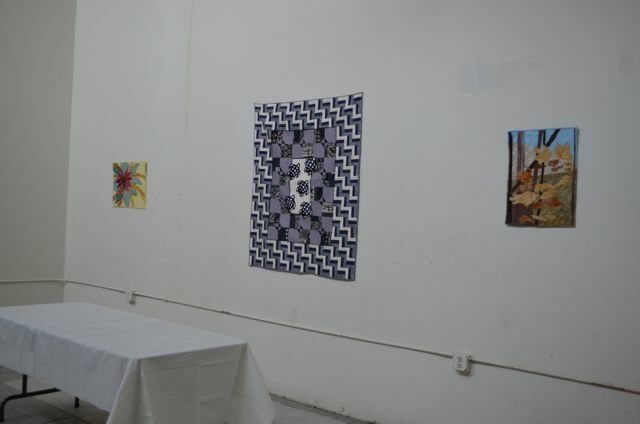 And, I have to admit, the quilts did look pretty nice hanging in the space. 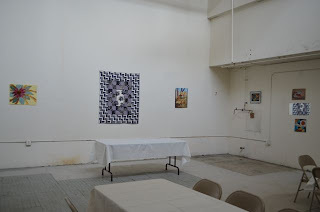 Congratulations on your first solo show! Isn't thrilling to see some many of your works displayed together? What a great idea -- and congratulations to you for stepping up and doing it. 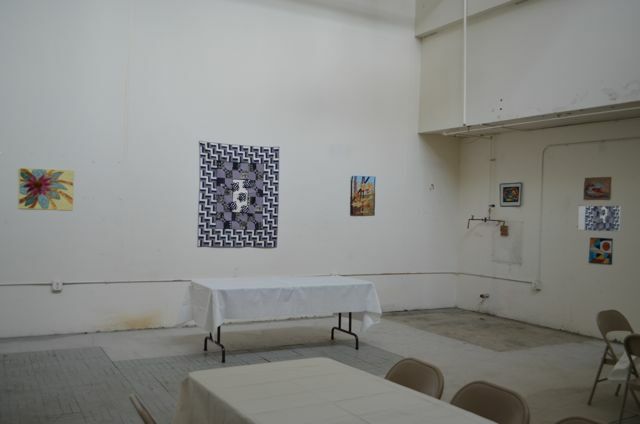 You're right -- the quilts look very good hanging there, and you managed to place them to complement each other too. Lovely! Thought id stop by and say hello. Richard from the Amish community of Lebanon,pa.